Horse Stories The Good Luck Horse includes four beautifully illustrated tales of friendship and bravery to captivate kids aged 5+. Simply retold for young children, tales include extracts from Anna Sewell's Black Beauty book and Lewis Carroll's Through the Looking Glass. Each page is decorated with colourful illustrations by talented artists to make the book imaginative and fun. 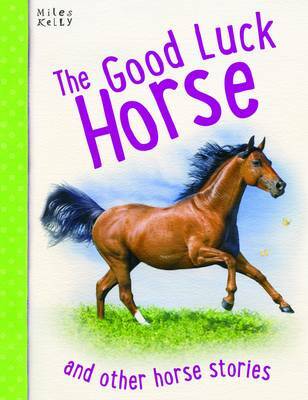 Horse Stories The Good Luck Horse is perfect for young children who have a passion of horse and ponies. One morning, the old man woke up to find that his favourite horse had broken out of its stall in the night and run away. He searched high and low, but could find no sign of where the stallion had gone. The bad news spread like wildfire throughout the village, and the old man's neighbours came to see him to say how sorry they were. They expected to find the old man very downcast and upset, but to their amazement, he seemed contented. The neighbours came to comfort the old man but instead he had to reassure them!